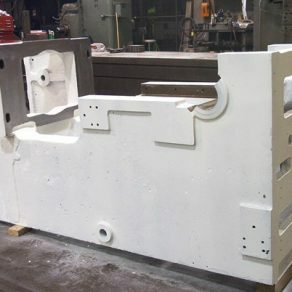 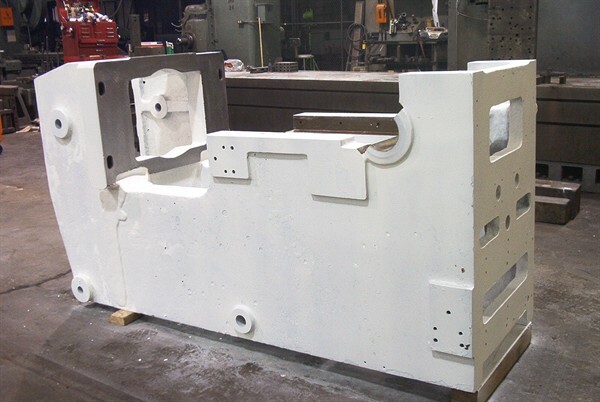 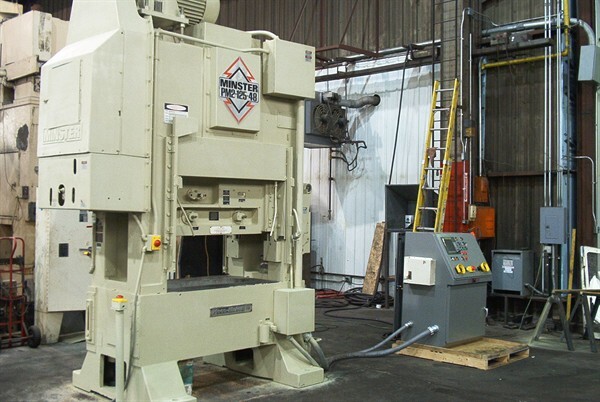 Rebuilt presses offer OEM tolerances and productivity at a lower cost than new equipment. 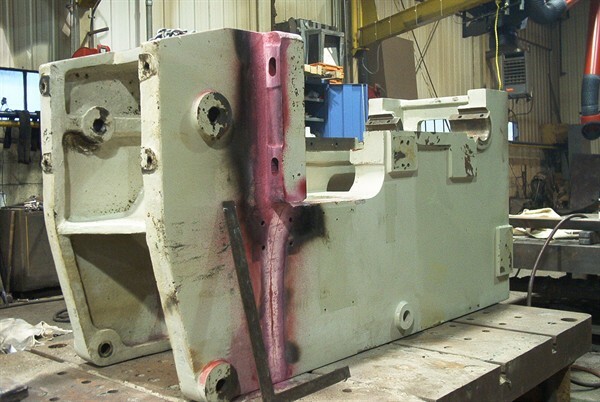 A rebuild project begins with the disassembly and inspection of parts for wear, cracks and dimensional integrity. 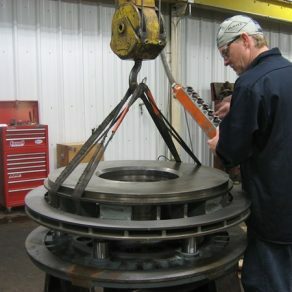 Findings are discussed and scope modified if necessary to better meet our customer’s needs. 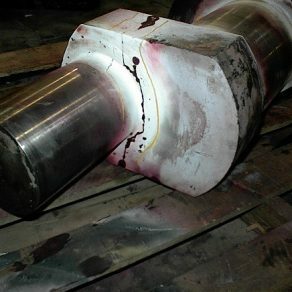 Many worn, cracked and broken parts can be repaired and returned to productive service. 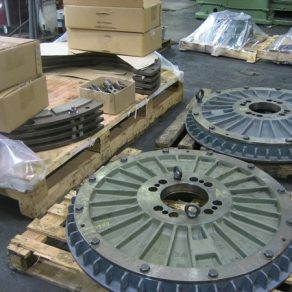 If needed parts can be reverse engineered and made new. 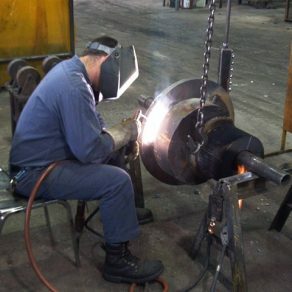 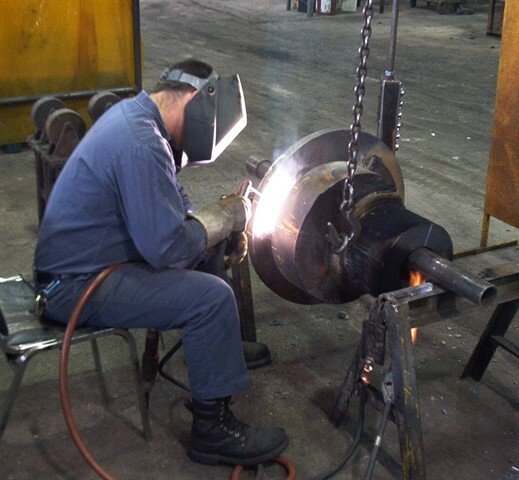 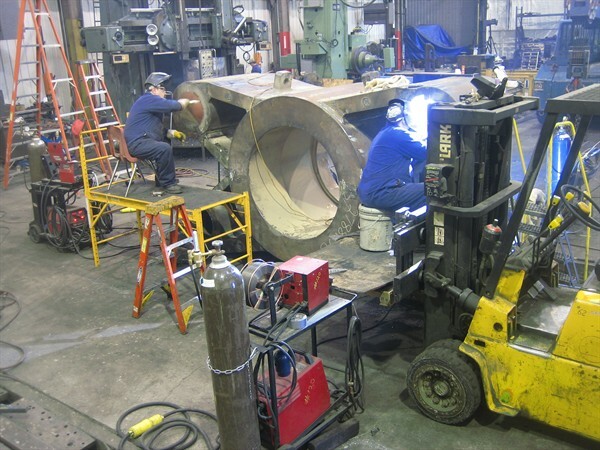 We have refined our steps and procedures over the years to provide the highest quality press repair welding services in the industry. 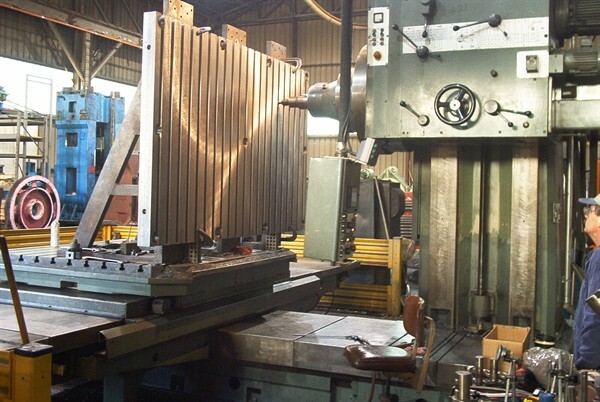 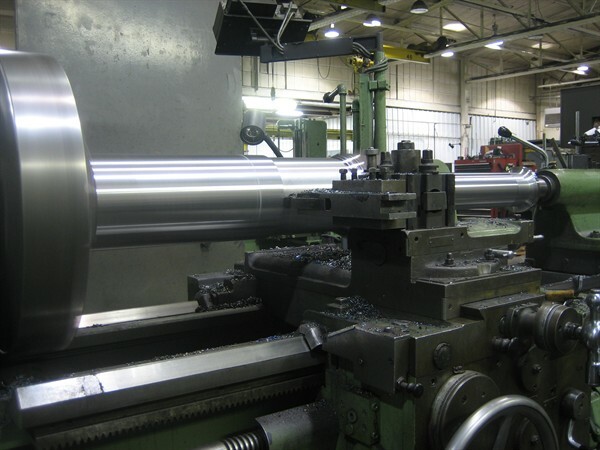 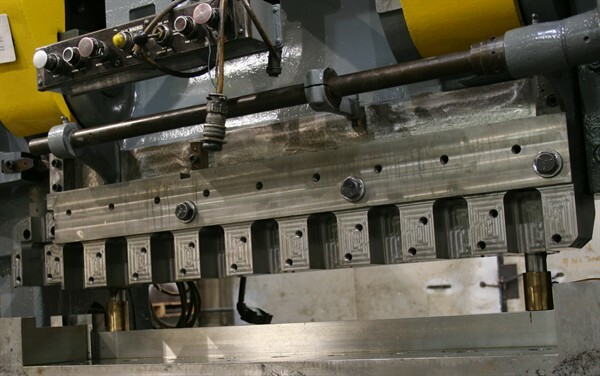 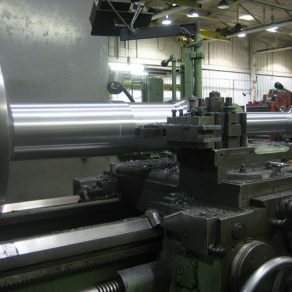 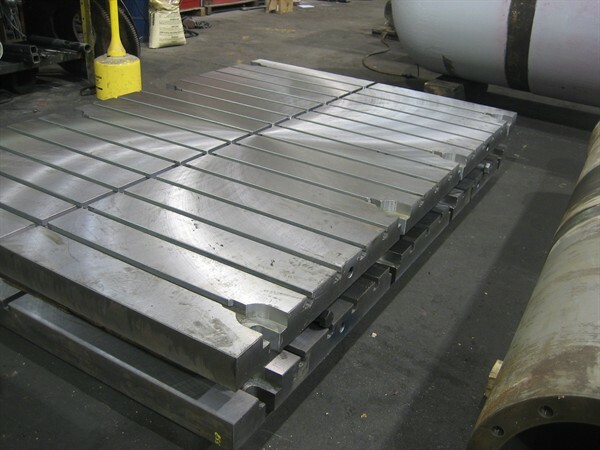 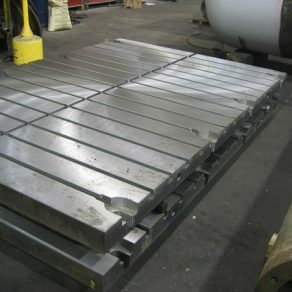 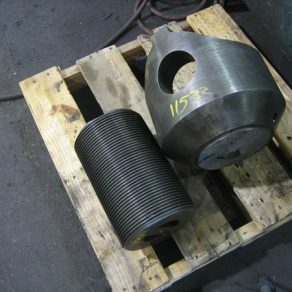 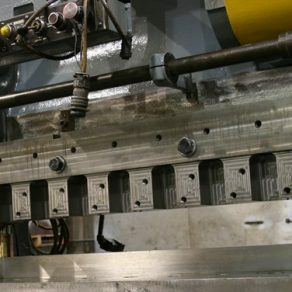 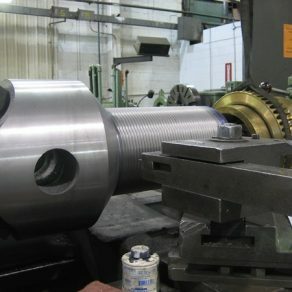 We provide CNC machining capabilities including; lathes, VTL, saddle mills with 4″,5″ & 6″ spindles and floor milling. 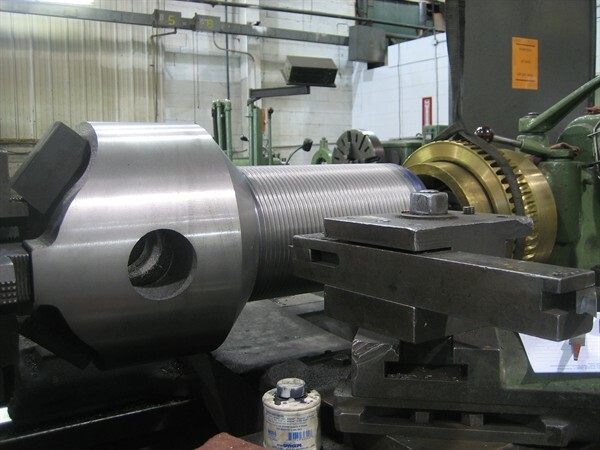 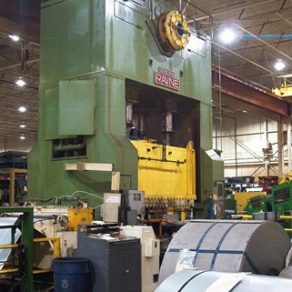 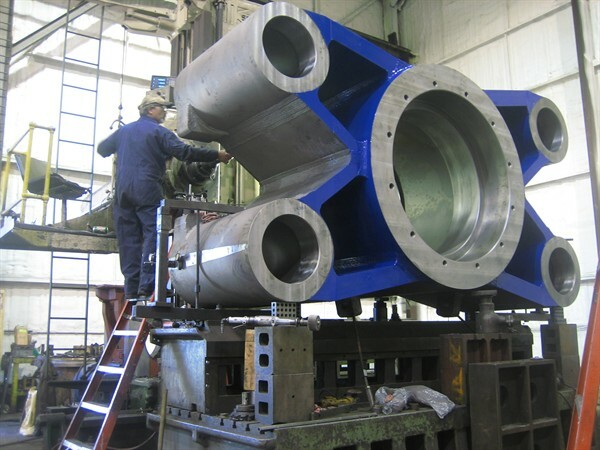 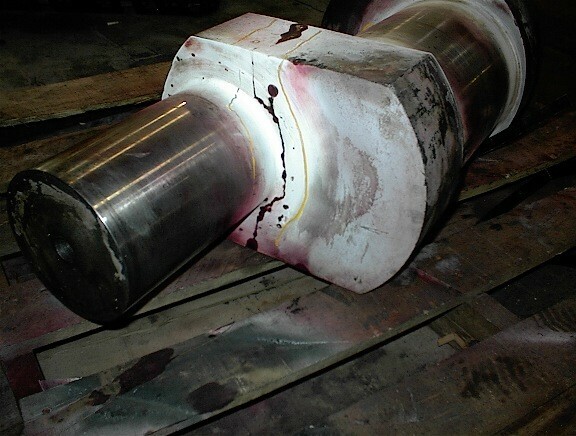 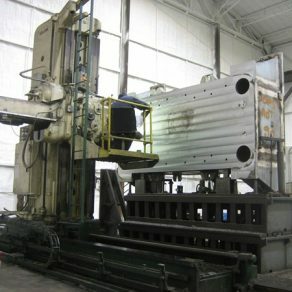 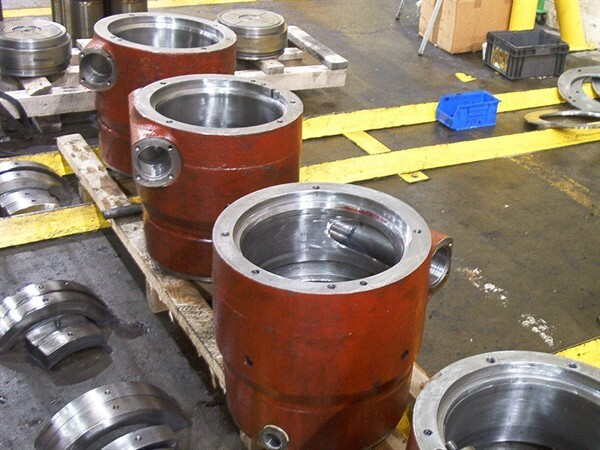 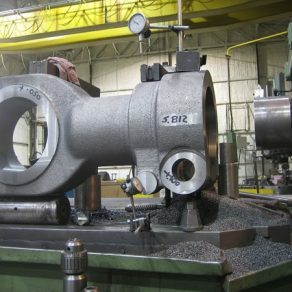 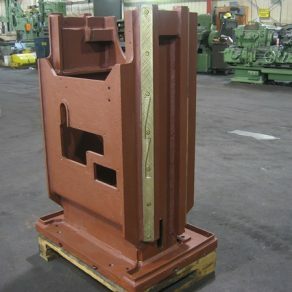 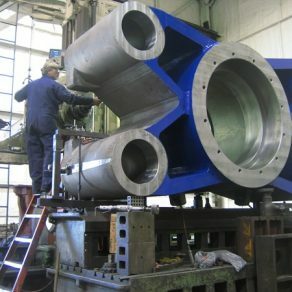 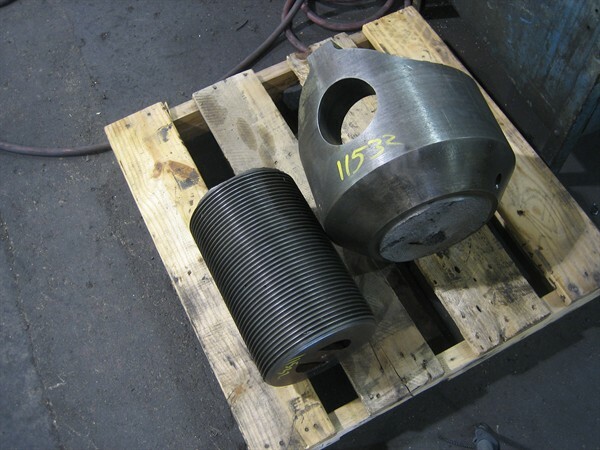 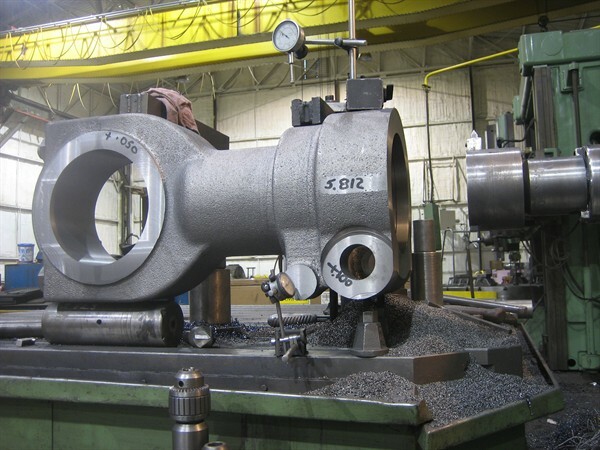 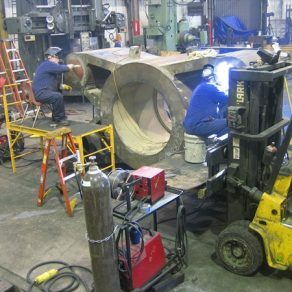 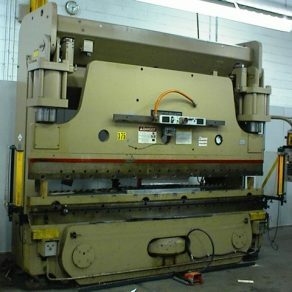 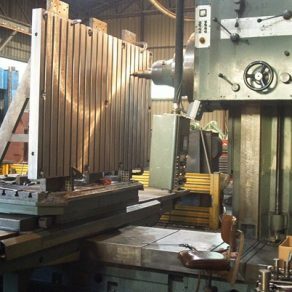 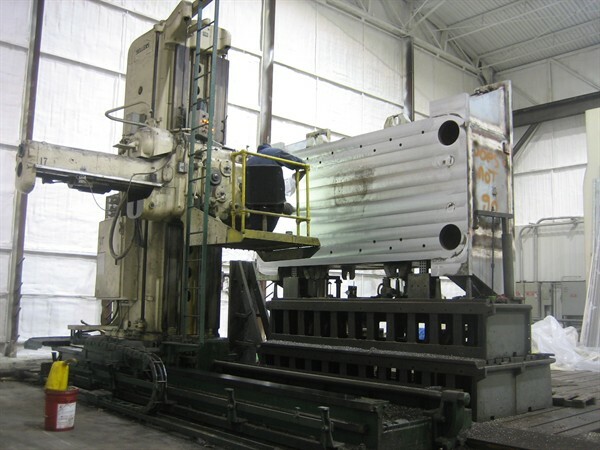 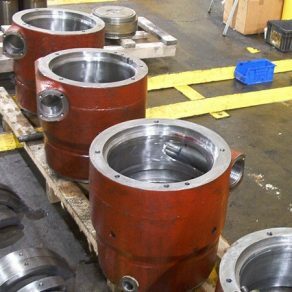 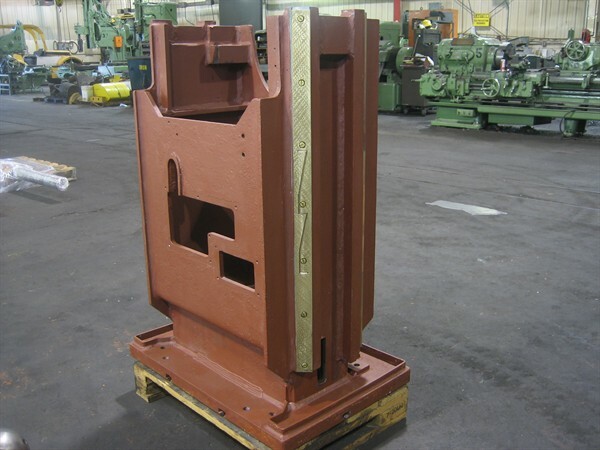 On site machining includes milling and line boring capabilities. . 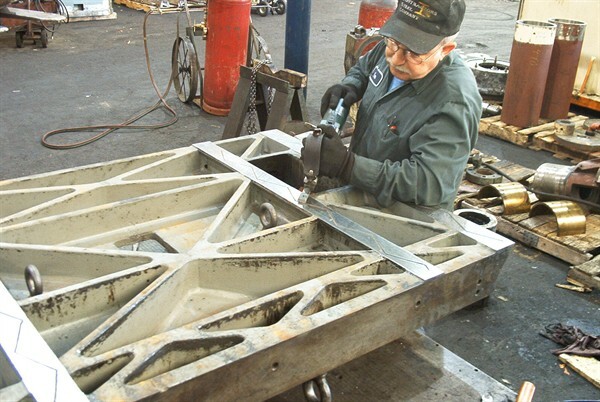 Projects begin with all parts being thoroughly cleaned and checked for cracks, wear and dimensional integrity. 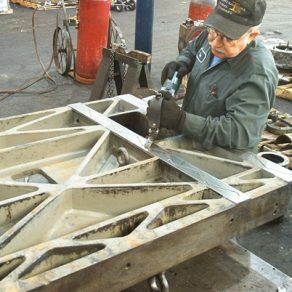 Subassemblies will be fit to engineered tolerances before installing them in the frame for final fitting and making adjustments for proper running clearance and operation. 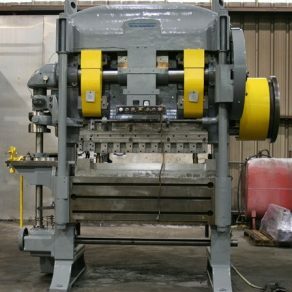 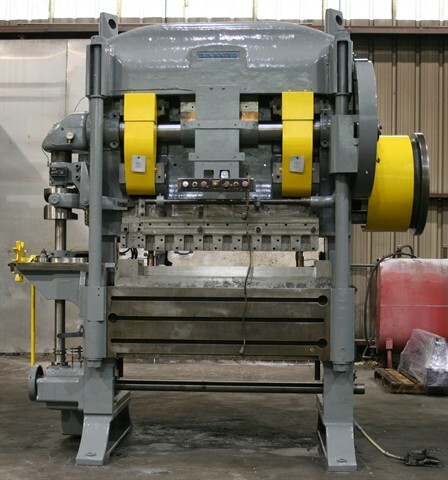 Rebuilt metal stamping presses will be test run in our plant before final customer run off and acceptance. 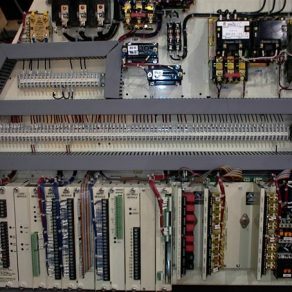 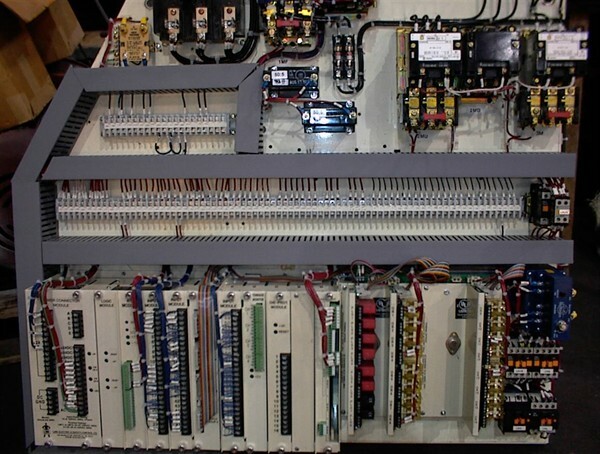 Rebuilding will include new controls, lube system and pneumatics systems. 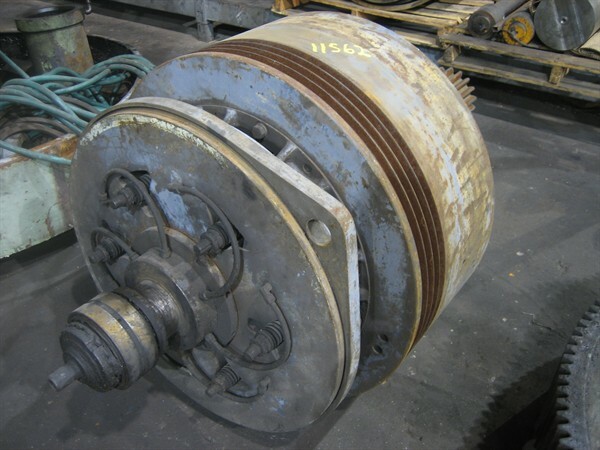 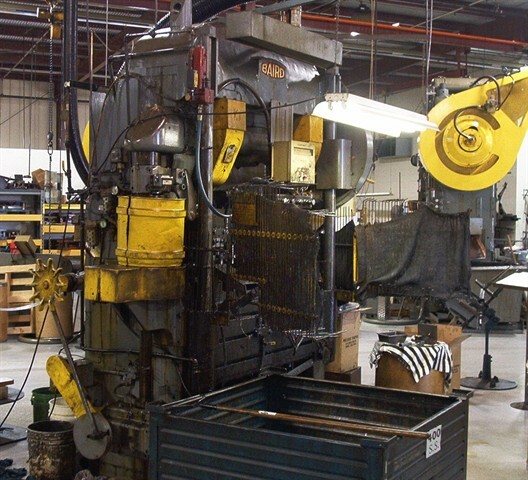 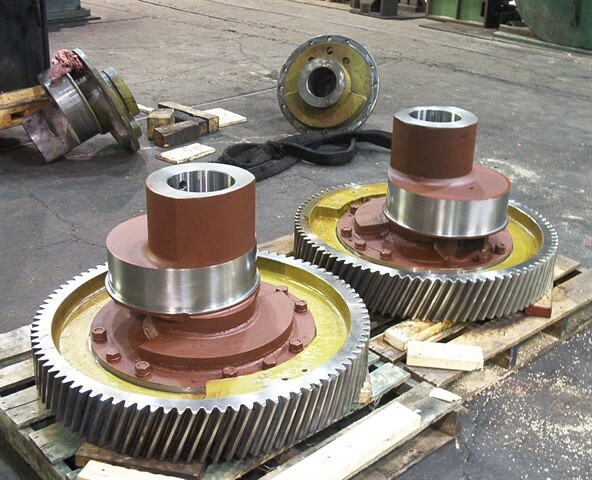 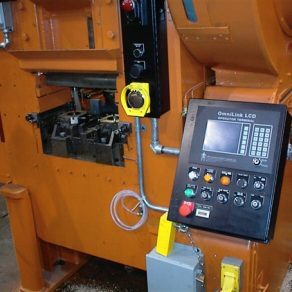 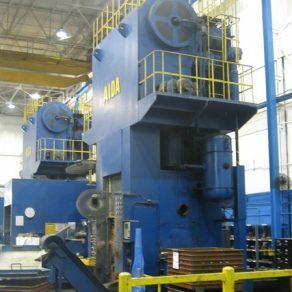 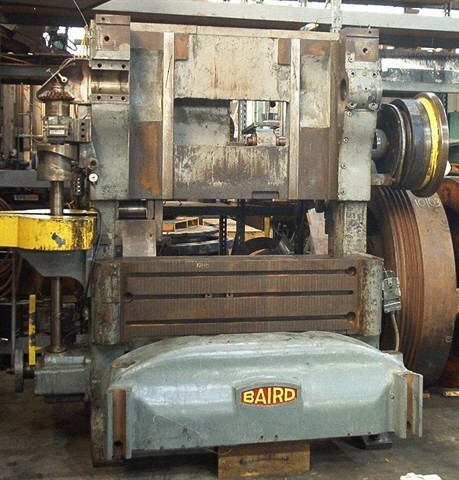 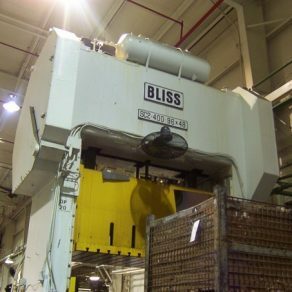 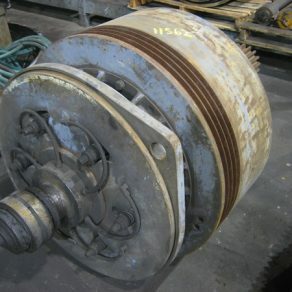 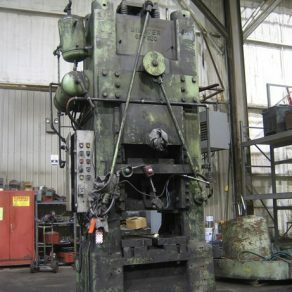 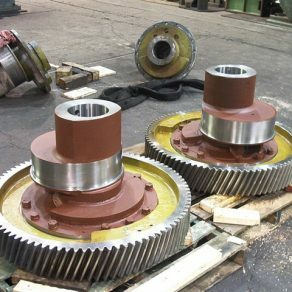 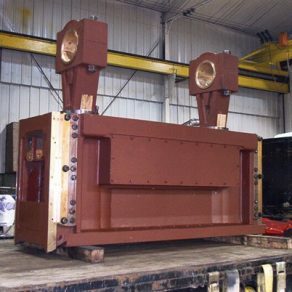 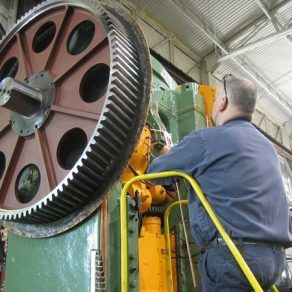 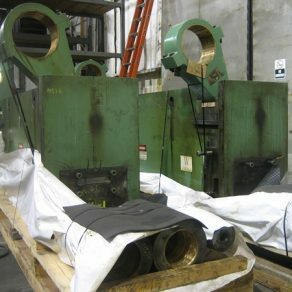 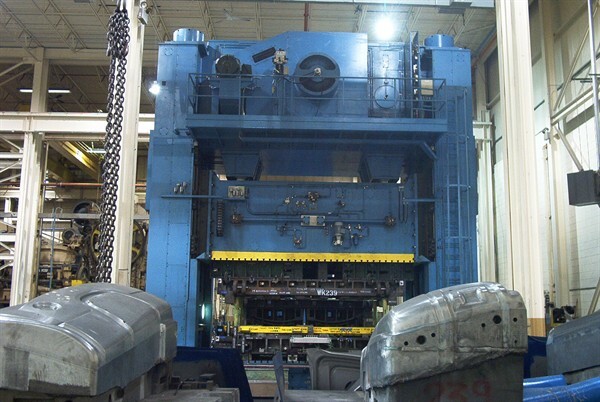 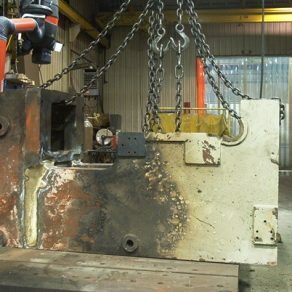 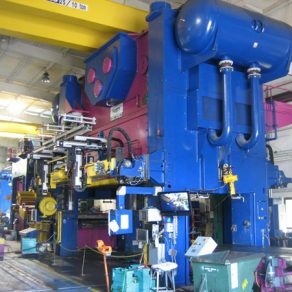 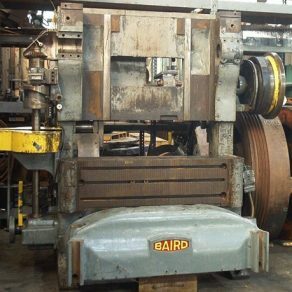 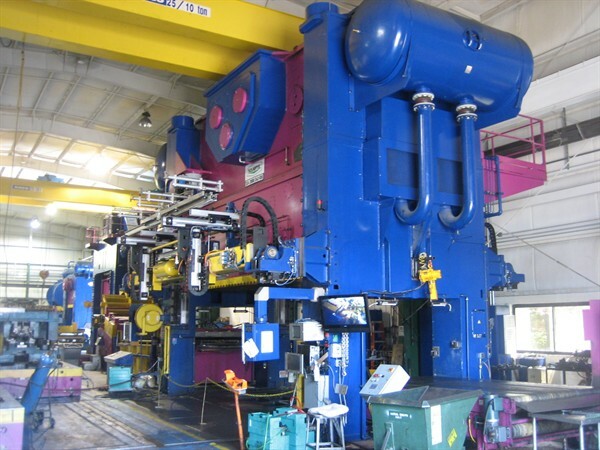 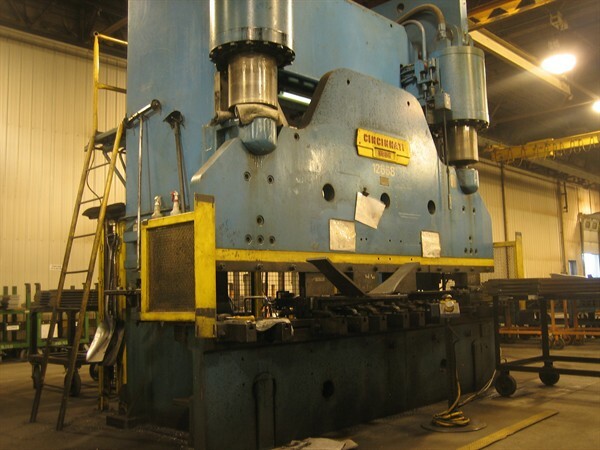 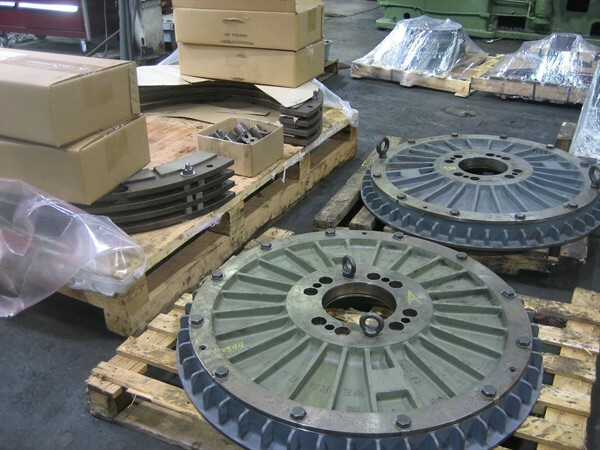 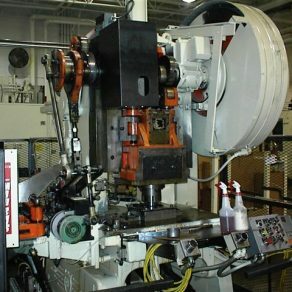 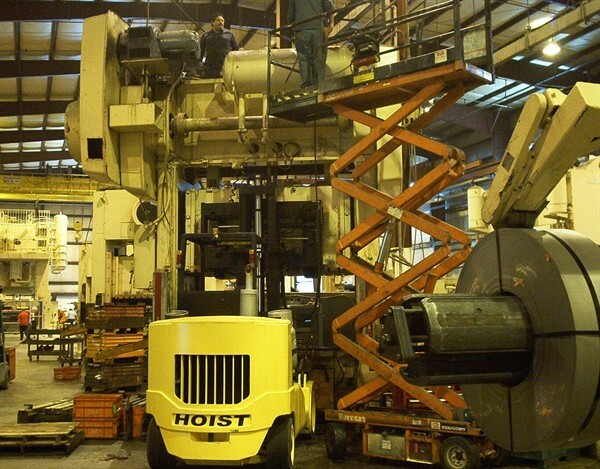 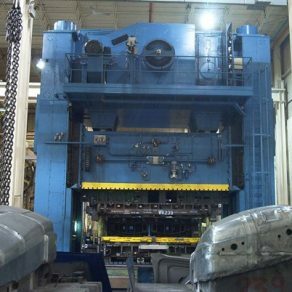 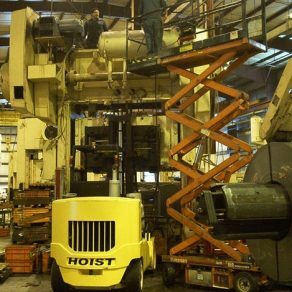 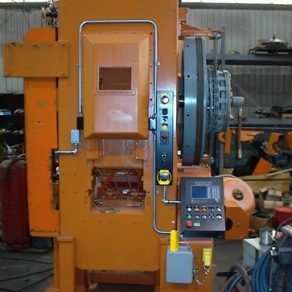 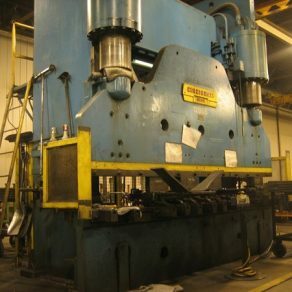 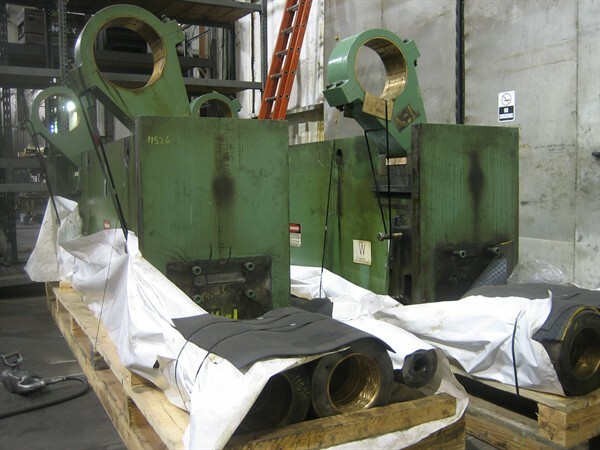 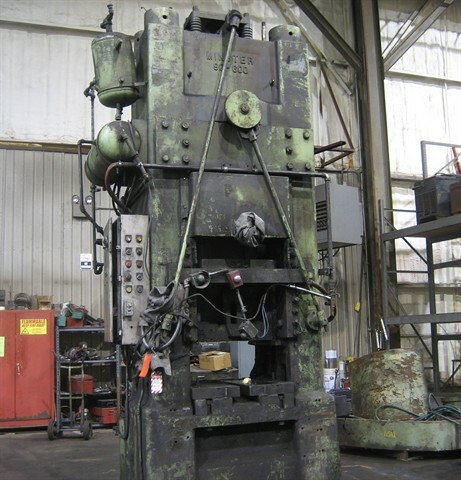 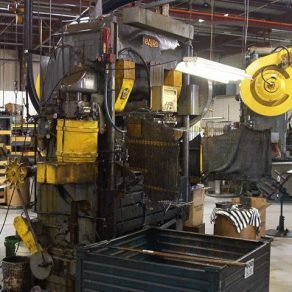 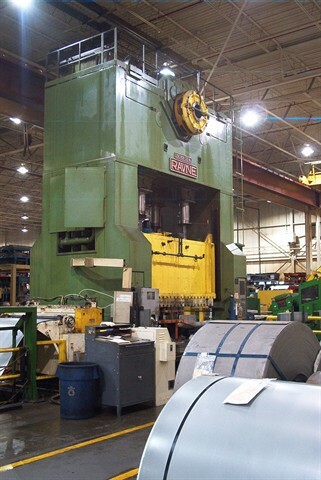 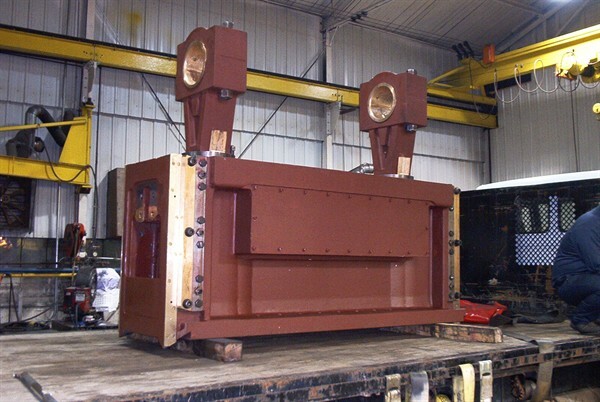 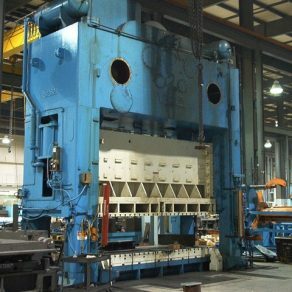 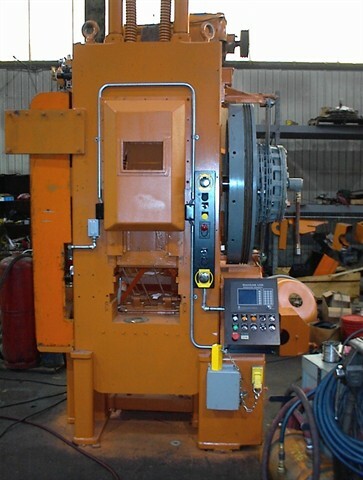 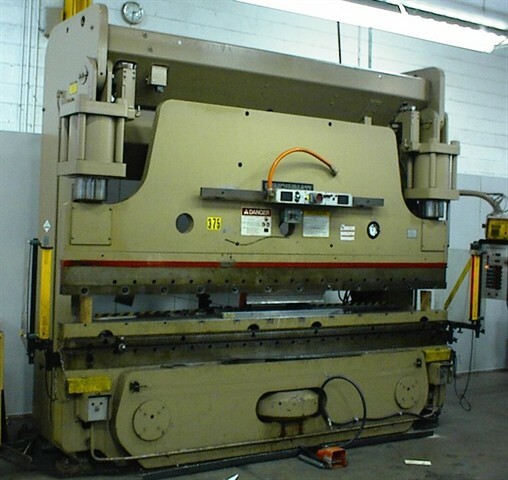 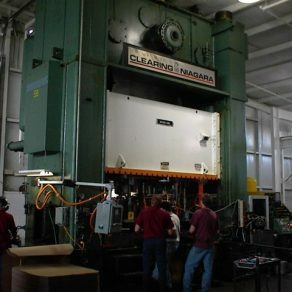 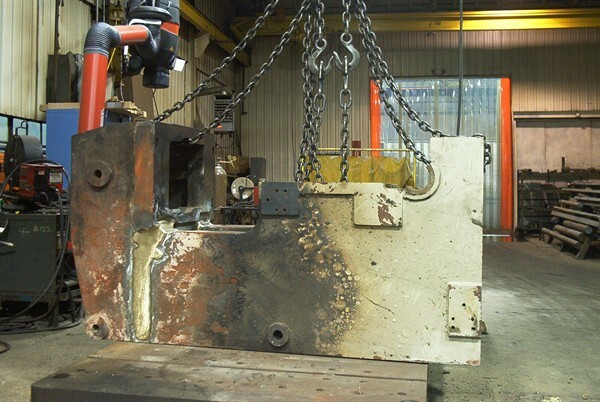 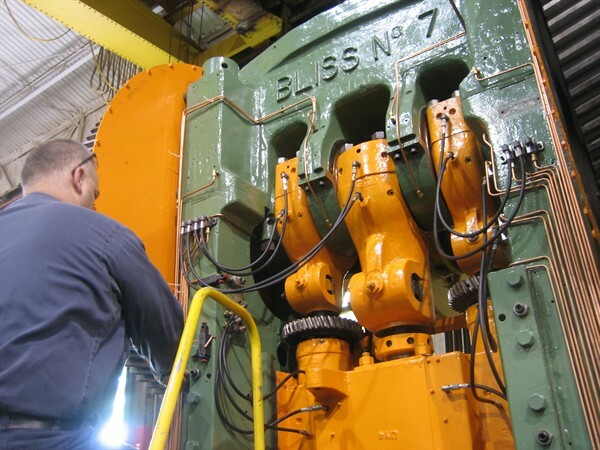 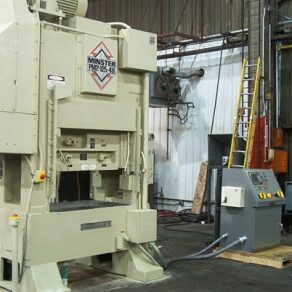 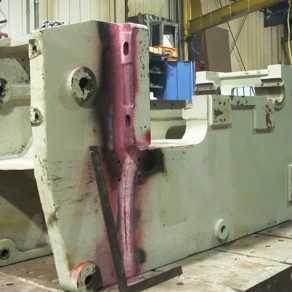 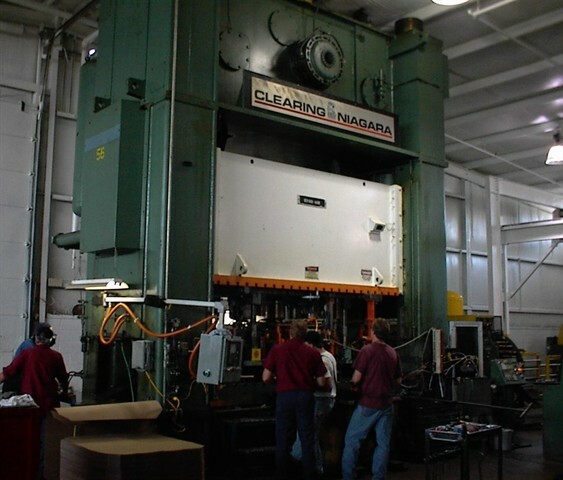 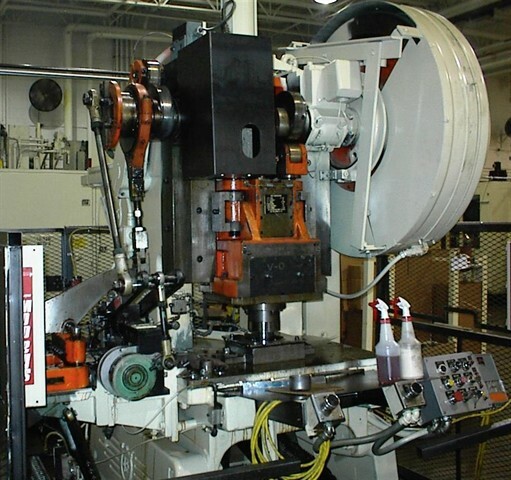 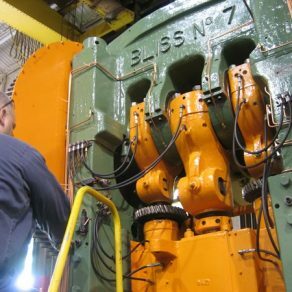 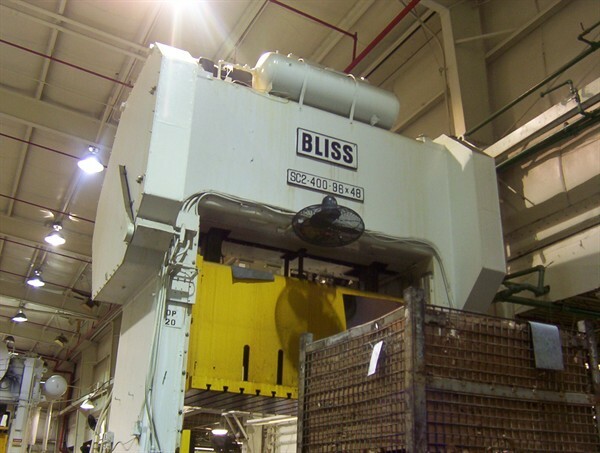 Clutch & brake conversions are another way we can help modernize your stamping presses. 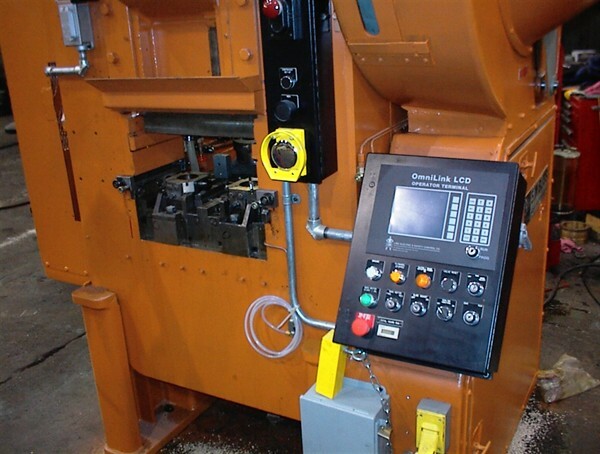 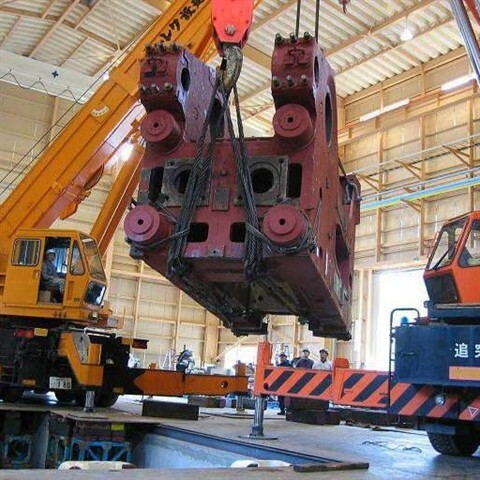 The key to lean maintenance is having a strong preventative and predictive maintenance program. 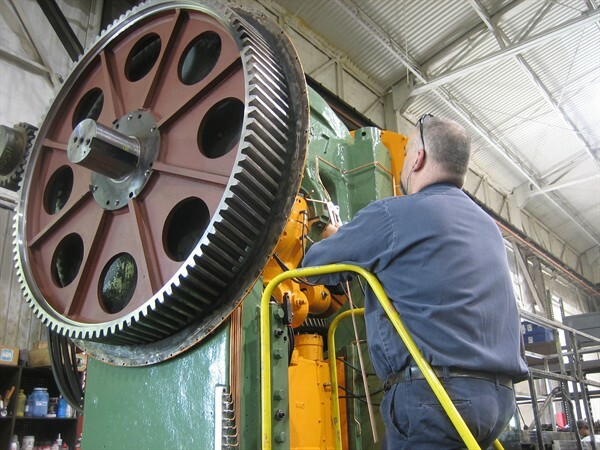 Campbell can provide preventative maintenance inspections that will keep you informed of your presses condition. 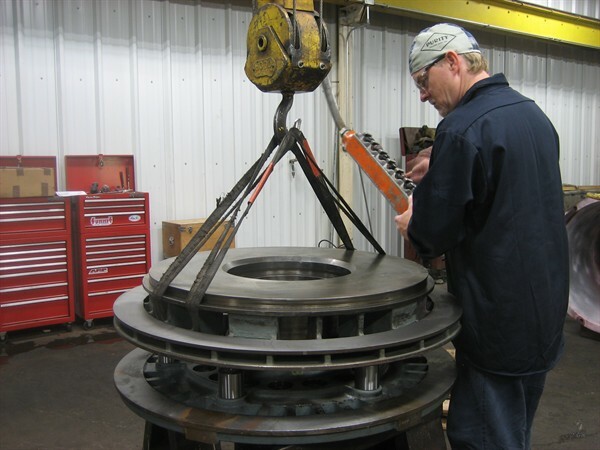 Our skilled engineers and field service technicians have the experience to perform the inspections for you or help you set up your own program.